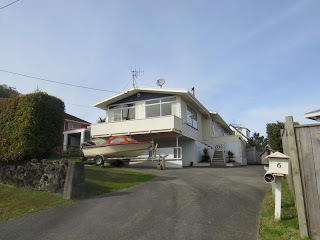 This post retraces a section of the house hunting and buying "journey" that my Wife and I have been on recently; having bought a house in Auckland. Many aspects of the process were both trying and interesting - and I reckon, worth writing about. In this post I ramble through a few of my thoughts on mortgages and mortgage repayment, interest rates, and loosely how they relate to the 2008 Global Financial Crisis (GFC). On about this date five years ago, the US stock market crashed. Apparently there were actually a few hours on 29/09/2008, when the US stock market went into free-fall, that it was thought the entire US economy could melt down - not just the stock market. I find the RBNZ chart (above) pretty interesting. My layman's interpretation (which could be entirely misguided!) of that the huge drop in interest rates in 2009 is that it was a response to the US Government flooding the market with cheap credit to keep the economy going following the GFC. And the steady hike in interest rates prior to that, is presumably what led to the sub-prime meltdown that triggered the GFC. Vast numbers of sub-prime borrowers in the USA no-longer being able to afford their mortgage repayments - presumably due to escalating interest rates(?) - defaulted on their payments, causing the whole securitised house of cards to collapse. Happy times...not! 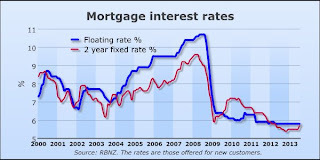 Thinking about the the GFC, and looking at the amount of money we will be borrowing on our mortgage, the repayments required on the mortgage, and what's happened with interest rates in NZ over the past few decades...is somewhat unnerving. Still, this process (of borrowing a large amount of money to purchase a home) seems to be an entirely acceptable financial risk, a long standing tradition, and perhaps even a rite of passage - at least, to most first-home-buyers in NZ, and to the banks that lend them the cash. That being said, provided nothing terrible happens with the market, our income, or our health - and we have our insurances setup right - we will be able to make our repayments and have a house to call our own. That is a pleasing thought. Here's hoping! 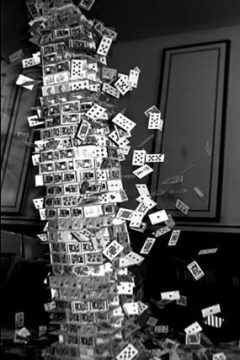 So anyway, our research has essentially reinforced our thinking that trying to predict what's going to happen with interest rates is probably a mix of black magic and luck, and at best, an educated guess. With regard to our repayment structure; we think that it's best for the most part to map out we think is going to happen with our own circumstances over the next few years, and assemble a fixed repayment structure around that. The theory being that we may have somewhat more control over what happens with our own situation than the global financial markets (at least, so we hope!). Our "house hunt" has been a pretty interesting journey. 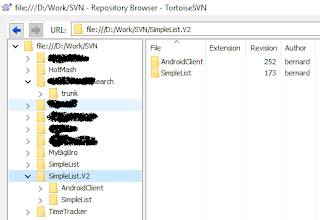 I'm thinking it'll be useful to document our experience further and I hope to bang out a couple further blog posts on related matters such as the house hunt process, etc, also. For our own future reference and perhaps to help others who may stumble across this blog.